Released in December of 2011, Launch Center (the predecessor to Launch Center Pro) was one of the first apps to put the spotlight on URL schemes and actions. 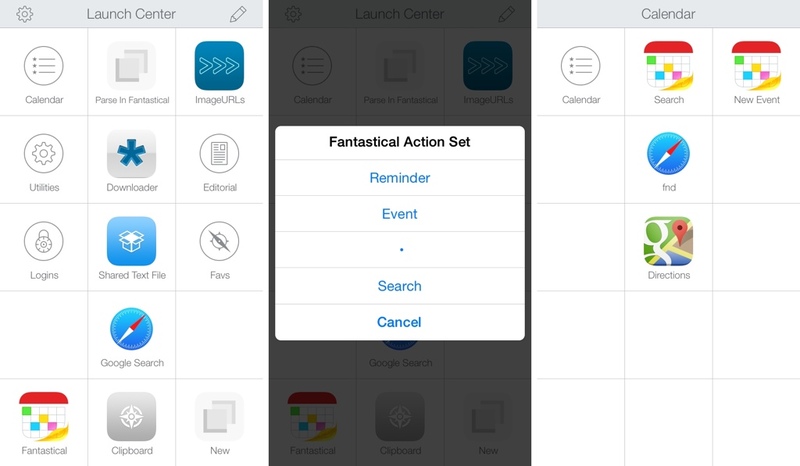 Promising the ability to launch “actions” instead of just apps, Launch Center leveraged URL actions to minimize the number of taps it took to complete common tasks in a variety of iOS apps. In those days, URL schemes were a fairly obscure facet of iOS, and few apps supported them. App Cubby (the developers of Launch Center and Launch Center Pro, now known as Contrast) wanted to change that. With Launch Center 1.2, they introduced the “Supported Apps” list: a list of apps supporting URL schemes with quick links to load actions from those schemes into Launch Center. Launch Center Pro, Pythonista, Editorial, and IFTTT are all my main go to tools for my day to day usage.